If you love the flavor of garden fresh taste in your recipes, be sure to try growing herbs. Oregano is a herb used in many international dishes, but is best known for use in Italian recipes. 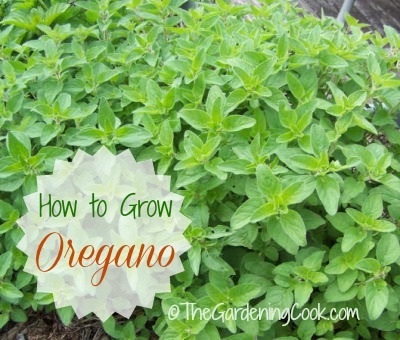 Most people who cook will have used the dried version of oregano, but growing oregano is easy. Oregano is a fuss free herb as long as you remember to give it at least a little water. Oregano is also a great addition to any vegetable garden. A few plants of oregano with provide you with enough to use fresh during the spring, summer and fall, and dried during the winter. I cook with this herb at least 4 times a week. It is wonderful in any Italian or Mediterranean recipes. Growing Oregano is easy if you follow these tips. Oregano is a perennial and will come back year after year. It does well in pots which will keep its size contained. Oregano like a sunny spot. If you live in Zone 7 and farther south, give it some afternoon shade, or you will be watering all the time, since it wilts easily if it gets too much sun. Keep evenly moist in well drained soil. Oregano spreads easily and can reach a height of 2 feet and up to 1 1/2 feet wide. In zones 7 and north, mulch over the winter. In warmer zones it is evergreen. Cut out dead stems in the spring before the plant starts new growth. Cut off flowers which form. Oregano taste best if not allowed to flower. If you amend the soil with organic matter, there will be little need for fertilizer. To dry oregano, hang it in small bunches upside down. Once the oregano has dried, remove the leaves from the stems and store them whole in a glass container. To store the essential oils, wait until just before using to chop the leaves.